D. Anne Mackeen, and her late husband, John Stewart Mackeen, have been a longtime supporters of Greater Saint John, and the youth who call Saint John home. In their support for this region’s young people, the Mackeen’s have focused mainly on supporting higher education and ensuring that all children can reach their potential. 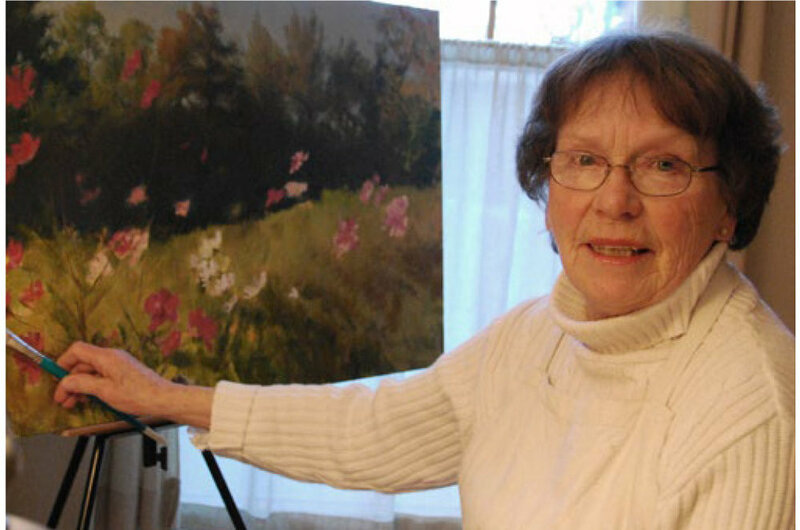 Mrs. Mackeen, originally from Bear River, Nova Scotia, graduated from the Ontario College of Art and has been actively involved in the visual arts community. Her husband John was a very well respected and popular academic, was a professor of English and literature at the University of New Brunswick Saint John for a number of years, before his passing in 2007. As a means of solidifying their commitment to their community, Mrs. Mackeen established a permanent endowment with The Community Foundation, named The D. Anne and John S. Mackeen Bursary Fund. Earnings from the fund will support an annual bursary for students who demonstrate academic potential but are lacking the financial resources to continue their pursuit of higher education at either the University of New Brunswick-Saint John (UNBSJ) or the New Brunswick Community College (NBCC). Students in any year of study enrolled in a program with concentration, and achieving excellence in English, literature or the visual arts, shall be given preference. Awarding of the bursary will be based on the successful student demonstrating a combination of financial need, academic potential and involvement in extracurricular and community affairs.